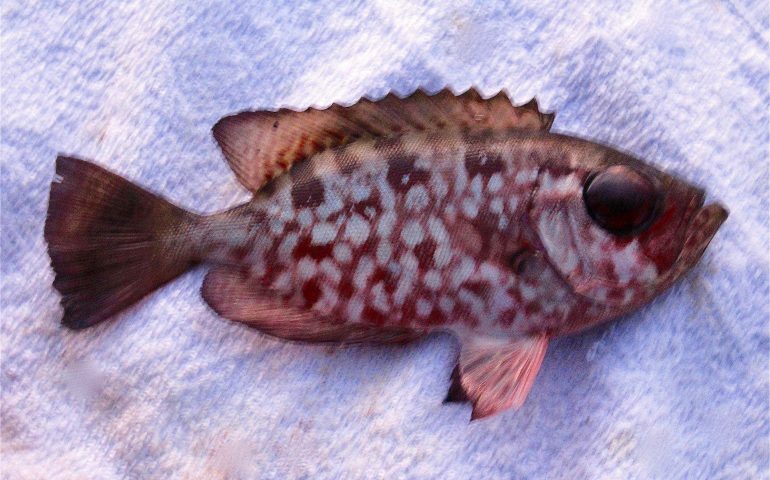 Species: Heteropriacanthus carolinus (Cuvier, 1829); from the Greek heteros (different), prion (saw), and akantha (thorn) and the Latin carolinus (in reference to geographic area). 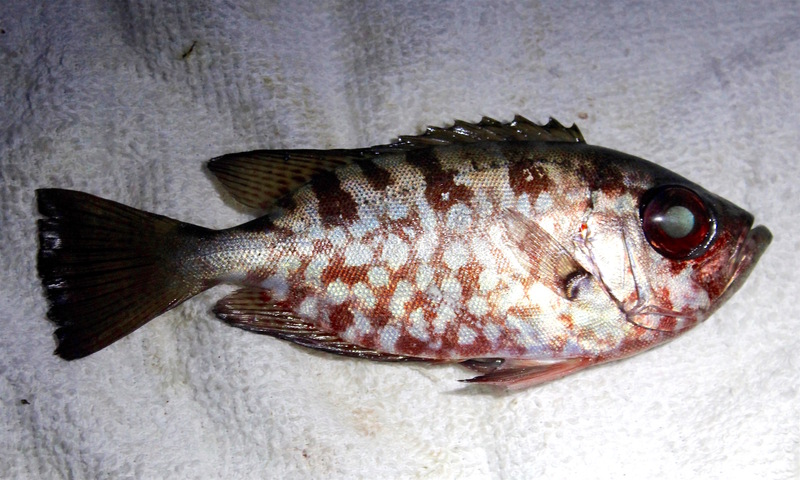 However, the fish turned out to be a species that was new to me (and a quick check of my reference book did not reveal a picture). My first thought had been of a juvenile giant sea bass (it was only 5-6 inches long) but the fin structure was wrong. My next thought was of a popeye catalufa, the fin structure was about right but the color was wrong. My friend Hashem and I talked the angler into letting us take a couple of quick photos before returning the fish to the water. Since I am always seeking out new species, that fish, even though I didn’t catch it, put the final cap on the trip.